A few weeks ago I was at a conference in San Francisco, settling in for the keynote presentation, when the event host reminded everyone that there was a free Conference app they could download with information and other links, and that a screen would be showing the conference Twitter feed all day. I looked at the people sitting to either side of me, and they were checking their text messages on their mobile phones, not their smartphones. It reminded me that just 28% of all mobile phone users in the U.S. have smartphones and I wondered, again, why conference and event organizers focus on the new thing that reaches just 1 in 4 attendees, when they could create similar systems through event text messaging and reach virtually everyone. 1. 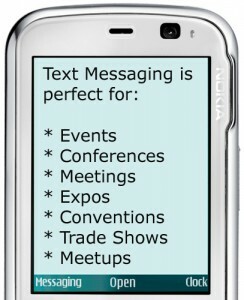 Text Information Booth: Designate a line where event attendees can text for information about the agenda, expo booths, lodging, meals, or any other aspect of the event. Make sure that someone is responsible for responding promptly, and that you publicize this line in event literature. 2. Text Questions: Many conference organizers find it clumsy to run around the floor with a microphone for questions after a panel or speaker. Enabling attendees to text their questions will produce more questions for speakers to answer, and allow them to choose the best to respond to. 3. Text to screen: Empowering event or conference attendees to make their voices heard by displaying messages for everyone to see increases participation, expand the conversation and tells attendees that you value their contributions. 4. 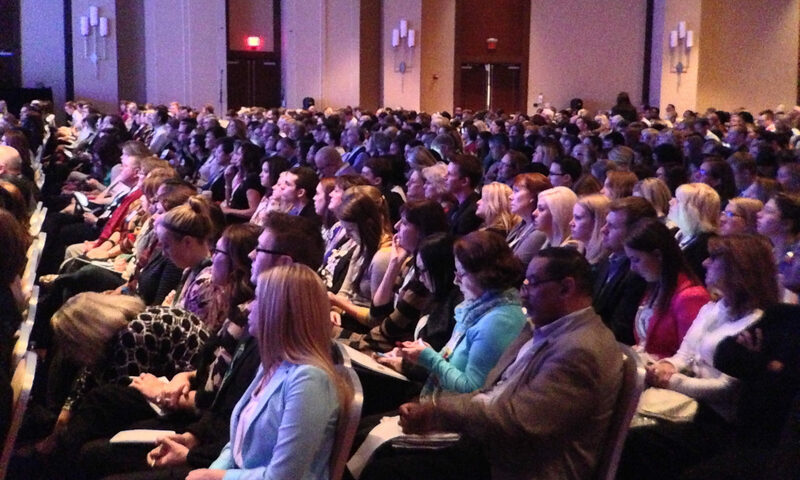 Text Message Polling: Want to take the pulse of your audience during a speaker or a break? Want to gauge interest in topics for the open sessions on the final day? 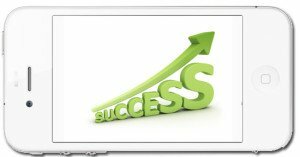 Text messaging is the ideal way to get feedback from your entire audience. 5. 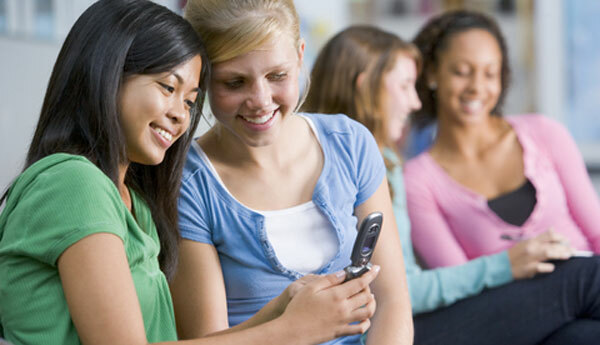 Text Message Sponsorship: Text messaging is another way to get your sponsor’s names out there. With any of the tactics described in this post, your sponsor’s name can be included in the response text. 6. Text Message Follow Up: Establishing an interaction based on trust between organizers and attendees means that your outreach will be read, and that means you can follow up. Leveraging the text message relationships you built through your event at the point of experience. And these ideas are just the beginning. 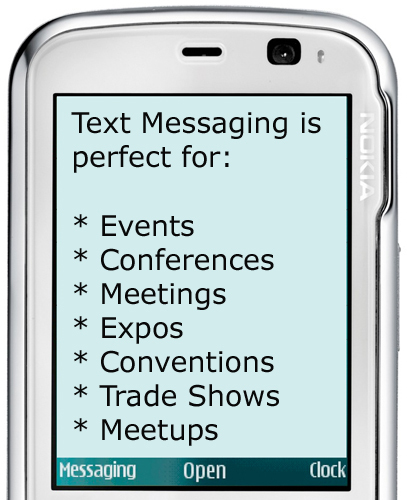 If you want to talk about how to customize text messaging for your event, conference or meeting, we would love to talk with you. See pricing and sign up for a free 14 day trial now. At the start of this month, Eric Lazar, VP of Mobile CRM, wrote an article titled, “Why old-school SMS is still a powerful mobile marketing tool.” In the article, he outlines the slight obsession that the general population has with mobile technology. Okay, make that a huge obsession. Lazar brings up nomophobia, a fear of being out of mobile phone contact. Yes, that exists! Apparently, more people would rather stop brushing their teeth for a week than give up their mobile phone. Paired with the finding from an eMarketer & comScore study that participants use their phone overwhelmingly more for texting than any other application, it is clear that SMS is the perfect avenue for marketing. Marketing can help cure people. It is an effective way to let people know about clinical trials, get participants involved, and retain patients on studies. As Noel Chandler, CEO and Founder of Mosio, Inc., says, “Recruiting and Retention is a challenge in clinical research that will remain and the fix is and will always be marketing and relationships. Patient engagement.” The best way to reach out to current and potential participants is to use the technology that they cannot live without – SMS. Lazar brings up the ‘SMS to the rescue’ point of view in his article: SMS call-to-action messaging is the easiest marketing strategy. These messages are simple, clear interactions with people, at the request and with the permission of the participant. This is a no-spam system because the participant elects to receive messages. Here’s one scenario: A woman with Type II Diabetes is sitting on the bus on her way to work. She is feeling let down and worn out because her medications do not seem to be helping her anymore. She sighs, glances upward, and finds an advertisement for a clinical trial using a new combination of FDA-approved diabetes medications. On the advertisement is a number to text for more information; so, with a smile, she pulls out her phone and types in the number. The first text is only one of many possible interactions. SMS is an easy way to obtain email addresses, set up pre-screening appointments, or answer short questions and concerns about clinical trials. Texts aren’t just a one-dimensional entity. Patient information and interest can be gathered, conversations can be started so that potential patients can receive the help that they need, and clinical trial information can be more widespread. Patients are connected and engaged through SMS; they are more involved and more committed to clinical trials. This is the best way to increase both recruiting and retention – by marketing specifically to those in need for a particular clinical trial and providing an easy avenue to keep communication open. After all, isn’t communication the best way to build and keep a working, steady relationship? Learn more about integrating SMS into your clinical trials with Mosio, Inc., and get a free consultation/quote at http://www.mosio.com/biz/solutions/research. Mental illnesses like anxiety can be hard to deal with- they can affect us all, but when walking past someone with such a mental illness, it’s very hard to spot in someone, and because of this many people don’t understand when someone may be depressed or suffering from anxiety. This can be a troublesome experience and can often leave you feeling along. Luckily, just like there is an app for many other things on this Earth, there is now an app for that. The app provides tips and hints for sufferers of anxiety to go with their day and to cope with the anxiety that they have to live with. It provides a source of help for people that may not have the courage to seek it within real individuals and could hopefully help out a lot of lives. A new system in Texas allows doctors to easily send out texts and emails to patients whenever they may need to reschedule an appointment. This will help both doctors and patients to avoid missing out on appointments and to help them reschedule a time that is suitable for both of them as quickly as possible. It can be a pain waiting for a doctor when you need one, and this new system will lessen the workload for doctors and should allow them to better reschedule meetings with their patients. In this week of Mosio’s Mobile Newsbytes, we find out more about the growing popularity of mHealth from the viewpoint of doctors and patients, people taking surveys via text messaging are more likely to answer truthfully, skin cancer prevention via SMS (Hey U! Put on snscrn rt now!) and some more good news for mobile advertising. Enjoy and if you’d like, you can always subscribe to our blog up there on the right to get mobile information delivered right to your email inbox or favorite RSS reader. Need two-way mobile messaging software or solutions for your business? Mosio can help! Contact us for a free mobile consultation and we’ll put together a quick quote for you. Hotels are accustomed nowadays to technological upgrades so as to increase revenue. A simple improvement in hotel service can increase their guest attendance such as by using Google Floor Plan Marker app. This simply helps users navigate their way around the building from board to guest room and alike. Tech-savvy hotels are the trend in the industry since business travellers most likely will be using their mobile devices at hotels to look for special offers and other services available. Hotel’s technology corresponds to efficiency and revenue. These days, guests are looking for facilities that can help them stay connected to keep up with news, keep in touch with friends and family and perform several tasks at once. Mobility technology helps hotels provide an excellent service to guests thus building a lasting loyalty to keep them coming back for more. Text-message marketing is a good way of promoting restaurants because it produces higher percentage of offers being redeemed rather than e-mail marketing messages and direct-mail messages. In using this type of marketing, always keep in mind the do’s and don’ts so as to achieve a profitable return on investment in your restaurant. 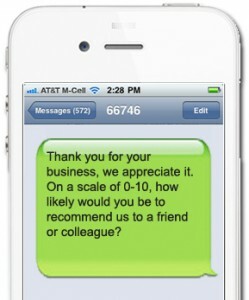 Restaurant industry is now paying more attention to the prowess of the text message marketing. This is a great tool of promoting and advertising what restaurant have in store for their customer such as texting special promotion or just simply having a regular connection with them. Hotels are keeping up the pace with new technology like taking the advantage of tablet computers for customer service. This high-tech device allows for example guest to check rates on a tablet with a website that is meant to be touched rather than sites that are made for a mouse to navigate. There are as many stats on text messaging usage as there are text messages sent every day, so I won’t list any here. You know everyone is texting, now it’s time to figure out the right way to go about it. Text messaging is the perfect medium for delivering brief pieces of information, offers or reminders to customers, members or employees with a nearly 100% chance of having it opened and read (open rates are north of 90%). As I type I have 6 voicemails that need listening to and not a single unread text message. Reading them is too easy. Sending text message alerts, reminders and offers CAN be sent via your mobile phone, but if you’re sending them for business, it’s recommended that you use a web-based service to manage everything. 1) Be consistent, but don’t send texts too often. People want to be informed, not blasted. In fact, saying the phrase “text message blast” out loud on our offices will either get a giggle or a roll of the eyes, depending on who hears you say it. Before SyFy canceled Caprica (I’m still upset about it), I got Caprica SMS alerts every Friday reminding me that it was on, always with another little piece of information on the message. I already knew it, but the message provided me with a reason to get happy a little earlier in the day. Why not? 2) Don’t use “free” text message email (aka SMTP to SMS). Kim Dushinski has a great post called “No Such Thing as Free Text Messaging“, definitely worth a read, especially if you’re using text messaging for marketing purposes. If you’re using SMTP or an un-certified text messaging service (“cheap, bulk SMS here!”, you’ve seen them), it’s not a matter of “if” but “when” you’ll get blocked by the mobile carriers. Mobile carriers love money as much as they hate spam and in quite a few occasions where free texting is concerned, they’re not getting anything they love. 3) Make it worthwhile for the recipient. Whether it’s a special savings offer, coupon, a reminder to make sure someone shows up for a scheduled meeting or a last minute head’s up that something has changed, use the medium wisely. My dentist charges $75 if I miss an appointment, I’ll gladly take the day before text reminding me of it. 4) Use text messaging as a two-way dialogue, not a one way channel. Imagine getting a phone call, email or text message from a friend or family member that you couldn’t respond to. Frustrating and the notion even sounds a little silly. The best thing about texting for businesses and organizations now is that there are plenty of services (not all, mind you) that enable users to reply back to an SMS once they receive it. It’s entirely up to you, but if a mobile service provider doesn’t let those receiving the text reply back to you to have a conversation with your customer and do so efficiently, you’re not utilizing “all parts of the buffalo” (apologies to any vegetarians). 5) Leave some character space for recipients to forward the message. I was going to use a different tip and then someone told me about this from Yea-Nay Marketing’s blog that I think is definitely worth sharing. Text messages are 160 characters long (the length was determined by the average number of characters on a postcard). It’s plenty of space, so leave some in case the person receiving your text wants to forward it to some friends. Yea-Nay recommends only using 120 characters for your message, but it’s whatever you feel like. FYI: This is awesome! including the space after the ! is 17 characters, plenty of room for your customer, patron, member, etc to share with friends. If you’re looking for a SMS character counter, you’re more than welcome to use ours even if we never do business together. See? While there’s no such thing as free text messaging. There is a free text messaging character counter. The MMA (Mobile Marketing Association) has published new guidelines for 2011. The guide is 165 pages long, so i embedded the slideshare version down below if you’d like to click through it. For something possibly a little more exciting to you, check out their mobile marketing case studies.